Hugh Lawson White was perhaps the wealthiest man to hold the office of governor in the state’s history, certainly in modern times. An industrialist and lumberman, White was also among the oldest men elected governor. When he was elected to a second term in 1951, White was seventy-one years old and weighed 270 pounds. He often boasted of his voracious appetite. Born near McComb on 19 August 1881, White was elected mayor of Columbia in 1926 and served until his election as governor in 1935. During the early stages of the Great Depression, White persuaded the Reliance Manufacturing Company to open a plant in Columbia, providing jobs that lessened the effects of the depression in the city. In 1935 White campaigned on a pledge to attract new industry to Mississippi and to do for the whole state what he had done for Columbia and Marion County. During White’s first administration the state adopted the Balance Agriculture with Industry (BAWI) program and offered economic incentives to new industries locating in Mississippi. The program encouraged training of workers, building or buying structures for new factories, and allowing local governments to pass bonds to attract new industry. BAWI established the state’s first industrial commission. White also initiated the first long-range highway construction program, which increased the number of miles of paved highways in Mississippi from 922 in 1936 to more than 4,000 in 1940. The state highway patrol was organized and the homestead exemption law was also passed. 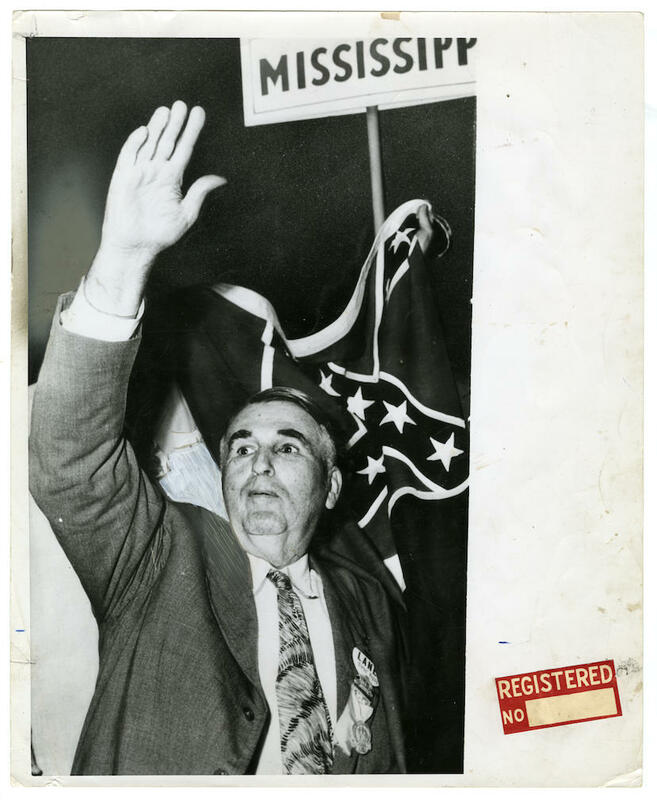 White served as Mississippi lieutenant governor from 1944 to 1946, becoming governor after Thomas Bailey died in office. He was elected governor in his own right in 1947. During White’s administration Mississippi initiated a massive school consolidation program. In November 1953, a month before the US Supreme Court was to hear arguments in the Brown v. Board of Education case, White called a special session of the legislature in a belated effort to equalize the state’s racially segregated school systems in hopes that the Court would not overturn the “separate but equal” doctrine. After May 1954, when the US Supreme Court declared segregated schools unconstitutional, White attempted unsuccessfully to persuade Mississippi’s African American leaders to accept equal but segregated schools rather than pushing for desegregation. For most of the remainder of his term, White focused on preventing or postponing public school integration, and to that end he oversaw the creation of the Mississippi State Sovereignty Commission. The Citizens’ Council, a private organization that worked closely with the Sovereignty Commission, was also founded during White’s administration. After leaving the governor’s office, White returned to private business. He died on 19 September 1965. The seven-thousand-acre Hugh L. White Game Reserve (also known as the Marion County Wildlife Management Area) and the Hugh White State Park near Grenada are named in his honor.